The bottom-up triangles were once pasted over with a stereo sticker with ST and 33 in connected circles, as shown in the pictures. I see an inconsistence between attached images and cat#. In your Notes you say: "This is a 1970 reissue. 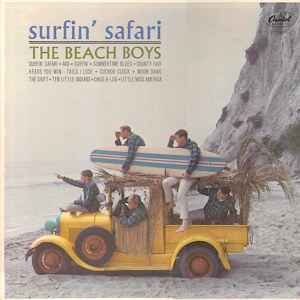 Surfin Safari was released in Germany for the first time in 1965 (cat# STK 84024 on label, STK 74024 on record)". OK, but then the cat# 1 C 148-82 008 does not fit to the attached images. The images fit to the described first Germany release and not to cat#1 C 148-82 008. Hands down best sounding version I've heard without having to take out another mortgage on the house. This is by far the best sounding version of the album I've heard. Exceptional job by Kevin Gray!